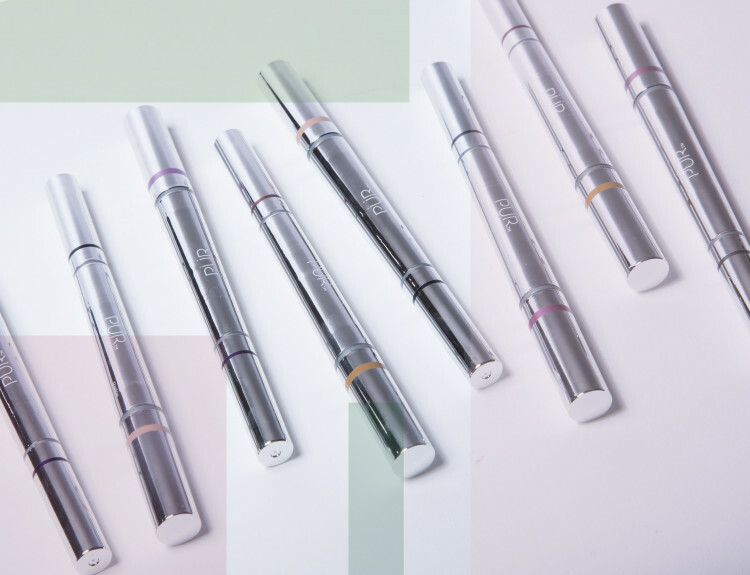 What it is: This four-piece, 2-in-1 eyeliner and shadow collection features complimentary shades that make for a quick, yet professional, transformation for any occasion. What it does: Smooth matte eye pencils define lids with precision and sultry shimmer eye shadows add playful charm. The portable, multitasking sticks helps you create eye-catching looks effortlessly. Built for quick and easy touch-ups on the go, getting the perfect eye look without a brush just got easier than ever. Apply eyeliner along the lash line and/or waterline. Apply eyeshadow directly on the eyelid. Blend with an eye shadow brush or your finger. Apply the shimmer shadow to the inner corners of the eye, along the bridge of the nose and the cupid's bow as a quickie illuminator. nice colors BUT.... I am not a fan of so much sparkle in the eyeliner. I'm don't wear contacts, but I wonder if this sparkle would irritate contact wearers ? I absolutely LOVE these shadow/liner pencils. The pigment is beautiful in each color. However the eyeliner end smudges easily, which makes it a better eyeshadow. The eyeshadow end doesn't smudge very easily and looks beautiful on your lid. I put on your he navy one the first time I used them and they went on so easily. But after I had both eyes done and opened my eyes fully the navy eyeliner transferred to my crease (I didn't have a crease shadow on) and instead of being upset about it, I really liked how it looked. So now I just use both ends as eyeshadow. Moral of the not so short story is... there can be multiple uses for a product. The eyeliner can also be used as an eyeliner if you set it with eyeshadow but you have to be very careful not to smudge it. I still love this product very much. It's fast and easy to use. All day wear in fabulous colors! There is nothing better than this set of eyeliners and shadows. 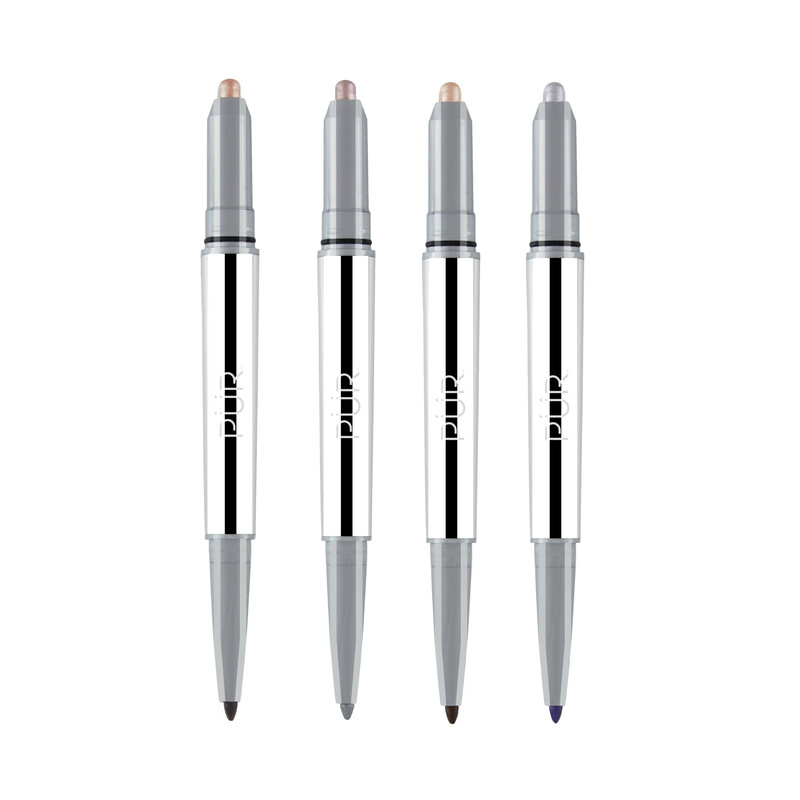 Smooth easy to apply liner that doesn't tug on your eyelid and which wears well all through the day without smudging. The shadows glimmer and highlight to bring out your eyes. Not a huge fan. Colors not nearly as vibrant. Very nice shadow and liner! Love the product. My only complaint is that the color markings on the pencils are barely discernible. The group name is on the pencil lightly, but not the colors. I simply put labels on, and now love them! Great colours. Easy to apply. I am older and all of the black eyeliners and thick eyeliners are far too harsh for my colouring. This has a good strong grey with a super eyeshadow to bring out my eyes. It also has a softer brown again with a nice complementary eyeshadow. Of course the black and burgundy also came with this set for those nights on the town. I really like the colours and how smoothly these eyeliner and shadows go on. However, their staying power is not very long, and it does tend to spread, if you don't use primer and finishing powder, etc which I don't. As long as I am careful and don't use on bottom layer, I quite like it!